If you missed it, read our April Newsletter about choosing the right location for your next restaurant. 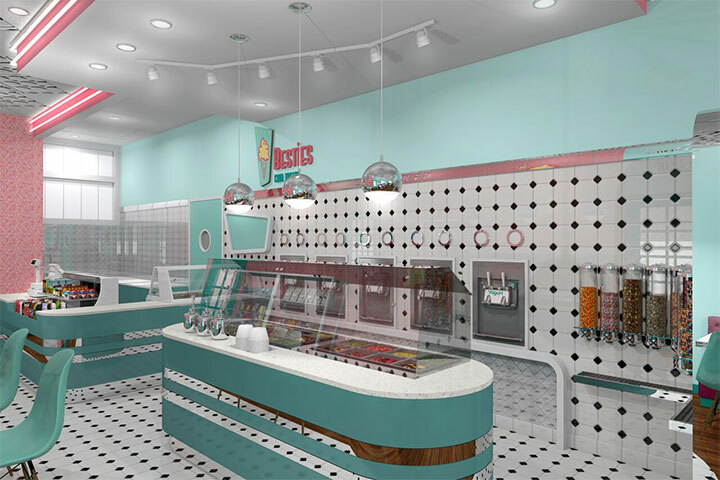 Where do designers find inspiration for dessert store interiors? We took a quick visual tour of a few shops around the world and learned about some unexpected sources of inspiration. 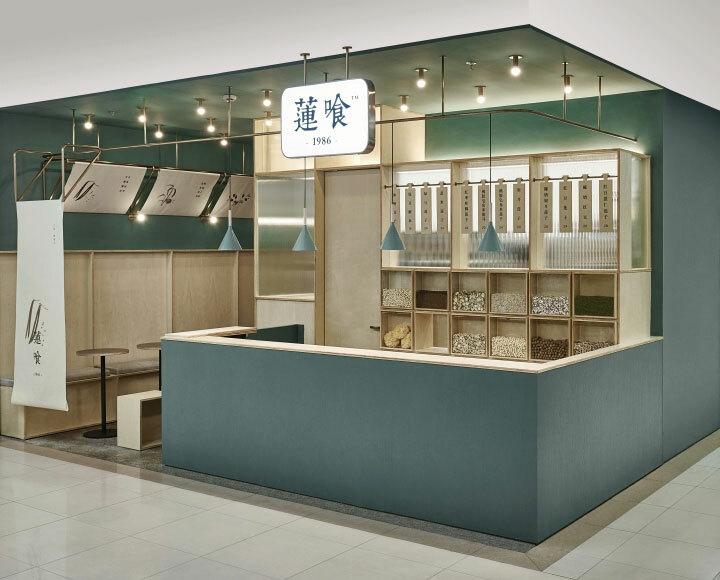 Some dessert stores recreate the looks of mountains to allow their customer an imaginary escape. Others pay homage to the humble (but tasty) coffee bean. 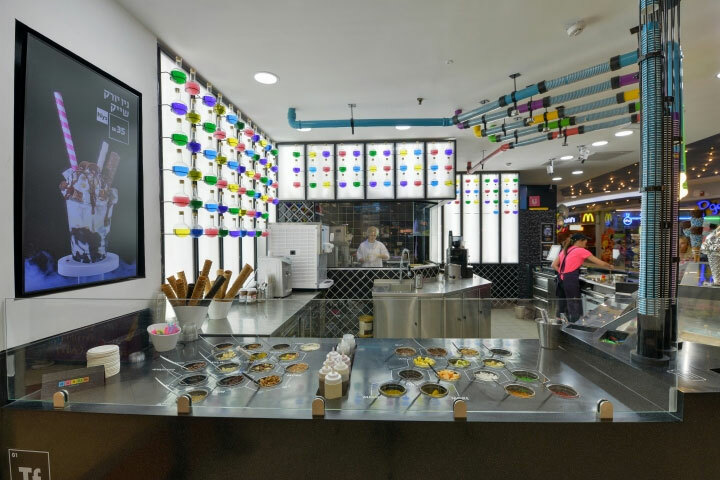 Even more daring, we found an ice-cream store that looks like a chemistry lab. 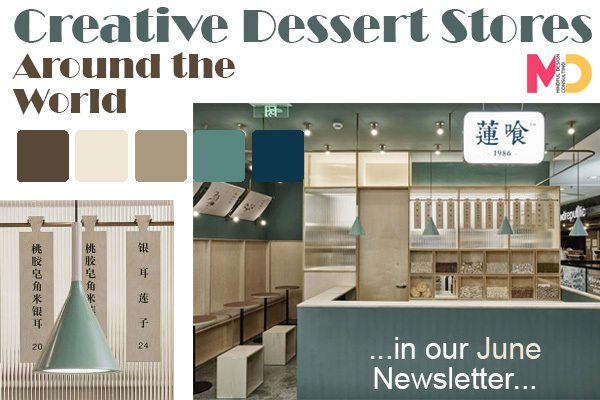 Read here about all these shops where desserts seem to take a second place to the ingenuity of design. Finally, we added the latest of our projects, a frozen yogurt shop in Liberty Station that mixes mid-century nostalgia with modern touches. 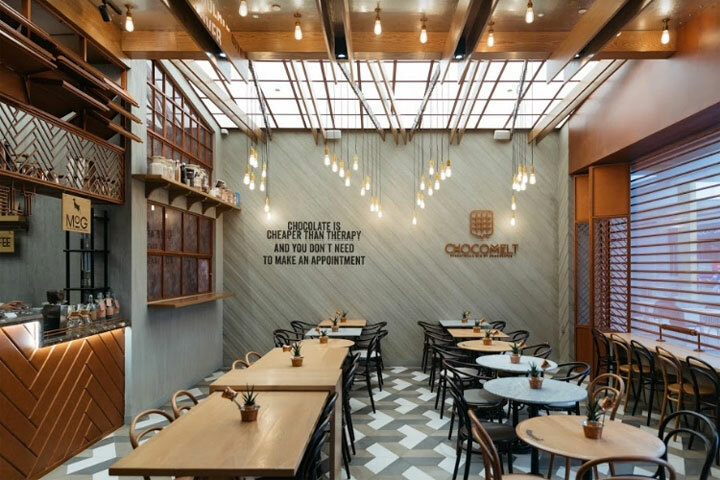 It is an excellent example of branding and how customized design can increase a store’s chances to be remembered.